The collectible card game Artifact released on November 28, and had 60,740 concurrent players that day. A good start—but it was all downhill from there. Last night, its total concurrent players dipped just below 1,500 for the first time ever—a 97.5 percent drop from launch. Yes, many online games struggle to find an audience on Steam, but not usually the ones made by Valve itself. Today, Artifact game is currently ranked 145 on Steam Charts out of all games being played on Steam. That wedges it in-between Dark Souls II and Assassin’s Creed Origins, two single-player games that have been out for over a year. Even Portal 2, Valve’s much-praised puzzler from 2011, currently has more players online than Artifact. The Dota 2-inspired card game caught some negative press early on when it came out that there was no way to get new cards without paying money. Contrary to the free-to-play model established by the most successful digital card game of the last few years, Blizzard’s Hearthstone, Valve decided to charge $20 for Artifact and also for tickets to compete in its “gauntlet” mode where prizes could be earned. Artifact cards can also be resold between players, creating a secondary market where players can pay money directly for better decks. I wrote at the time that this alternative model didn’t feel unusually onerous, and I still think that. But it’s become clear in the weeks since that the model is not attracting players to the game. 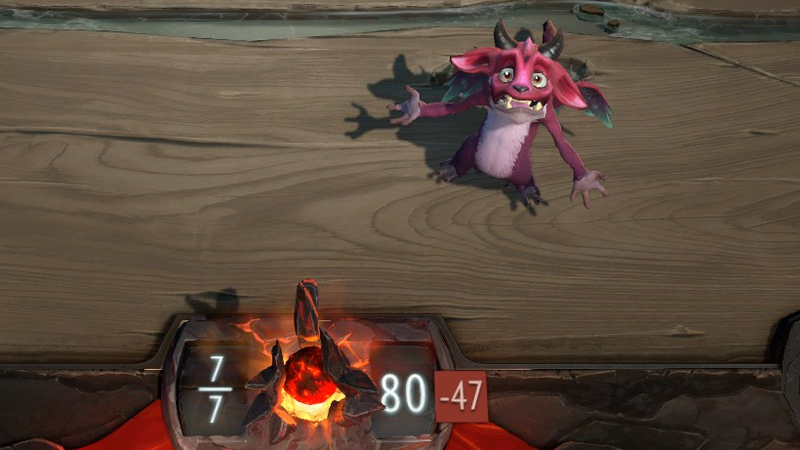 An early round of review bombing by people angry with the game’s monetization scheme has only given way to more negative reviews, despite Valve’s initial attempts to make Artifact more balanced and add a way to earn new packs simply by playing. A December 11 update added two sorely-needed features: leaderboards for certain modes and a chat wheel that let players communicate with one another during matches. On December 20, Valve released another big update, this time rebalancing some of the more overpowered cards and, more importantly, adding skill ratings for players and a leveling system that allowed players to earn free card packs after reaching certain milestones. Players apparently remained unimpressed, since they continued to steadily leave the game in the subsequent weeks. Some of them have complaints about the game’s reliance on RNG mechanics, while others say they’re tired of having to continually pay for tickets to compete in the game’s prize modes. The marketplace tells a similar story. Back when Artifact was released, the total cost to buy a full set of cards was around $294. By mid-December it was down to $200. Today it dipped just below $100. That’s not a bad thing in and of itself. As more players open up more card packs, the overall price should slowly trend downward. But the quick decline over the first month and a half is also an indicator that Artifact isn’t winning any new players who might drive fresh demand. Artifact received two minor updates last week. The first, on January 10, tinkered with some of the chat options, adding bindable keys for custom messages and decreasing the amount of time on player clocks during matches in an attempt to make them shorter overall. The second, on January 11, changed even less, fixing two minor bugs and removing the surrender notification. The Artifact Twitter account hasn’t been updated since December 21.